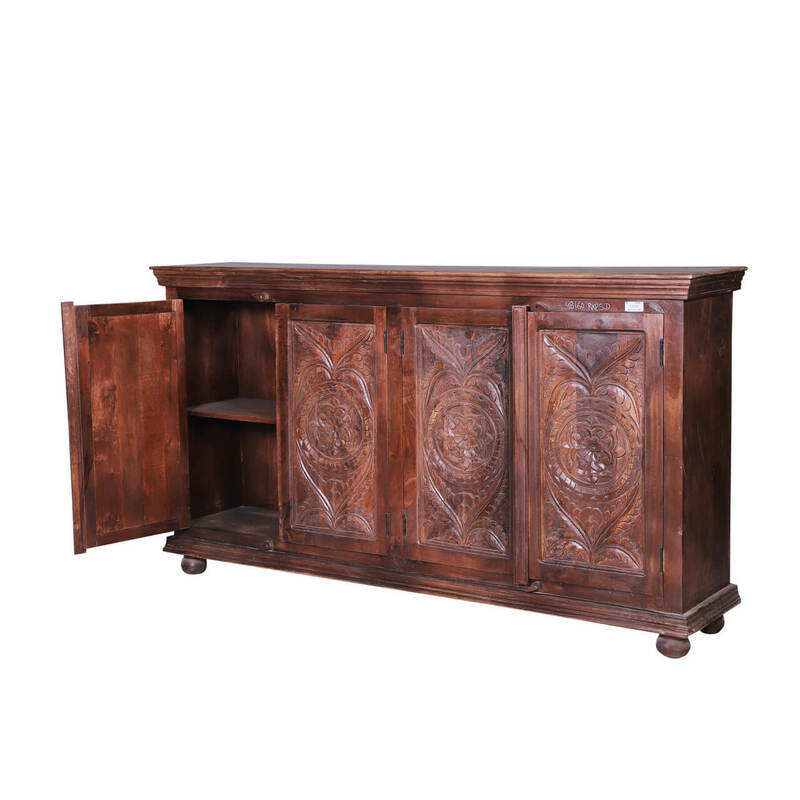 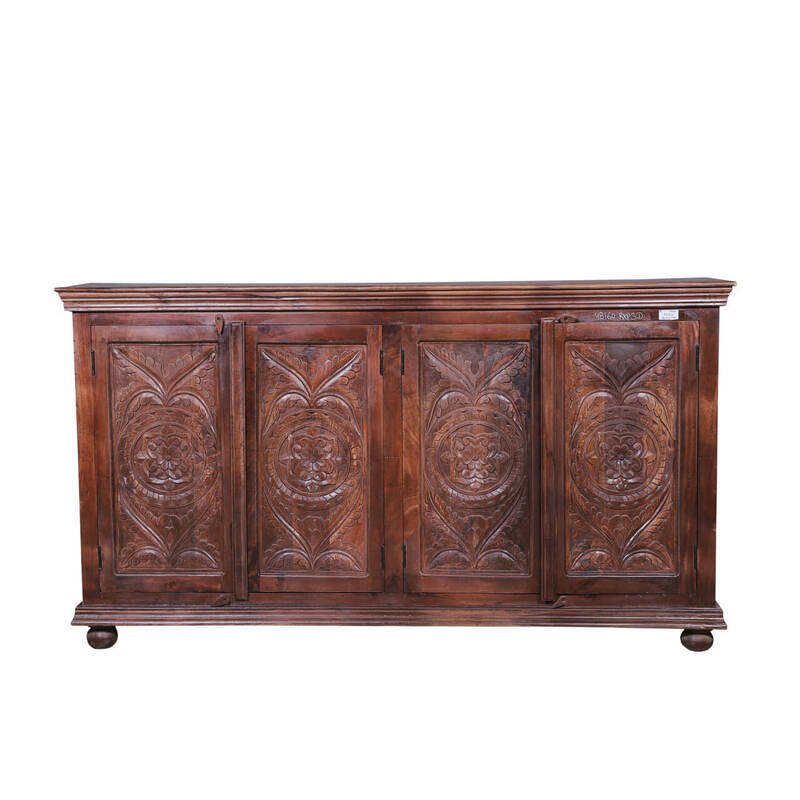 If charisma and stylistic appeal are what you’re looking for in your furniture, then it doesn’t get any better than our Bentonia Carved Door Old Wood Large Sideboard Buffet! 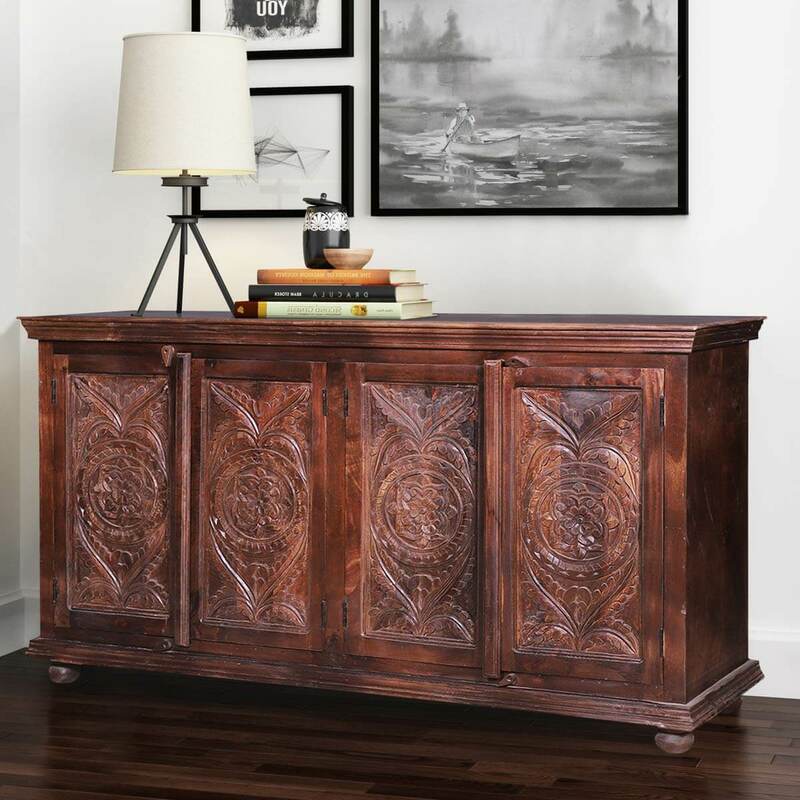 Featuring the perfect blend of trendy and traditional visuals, this solid wood sideboard delivers on all fronts – pragmatics, aesthetics, and quality. 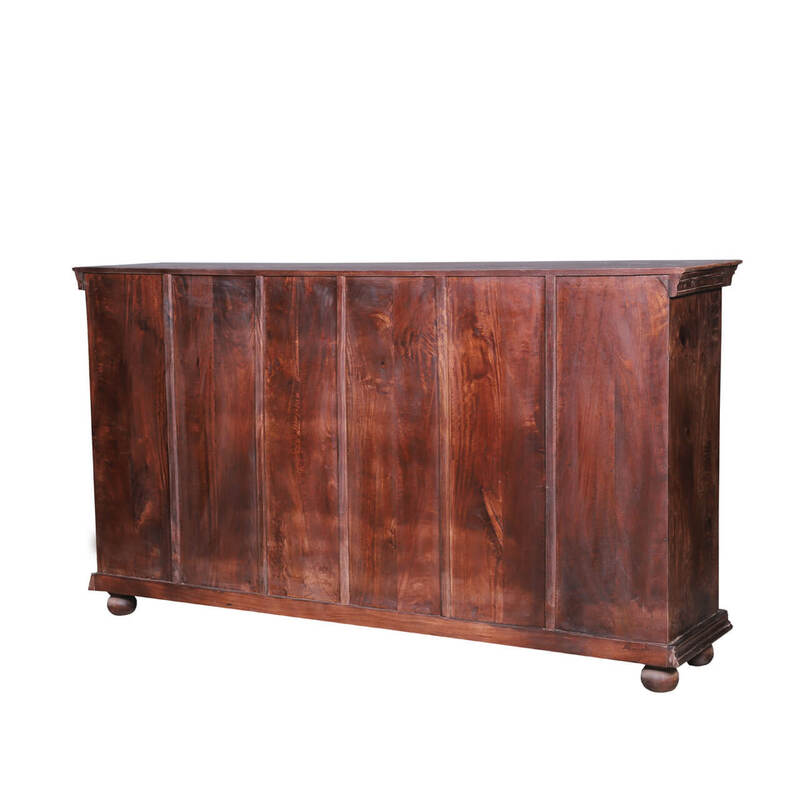 It has been handcrafted and assembled from sustainably sourced reclaimed wood, which makes it absolutely eco-friendly. 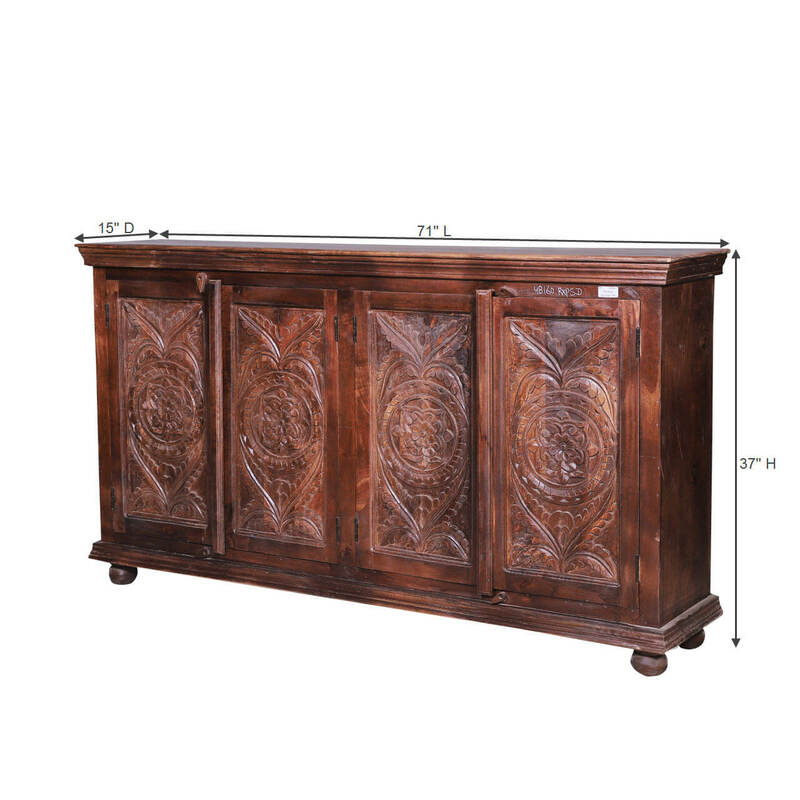 The careful designing and sharp attention to detail are also complemented by an excellent heirloom quality. 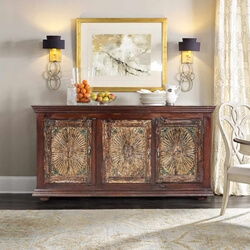 The design of this large sideboard buffet starts out with an extended top frame with a cornice-style moulding that segues into the main body. 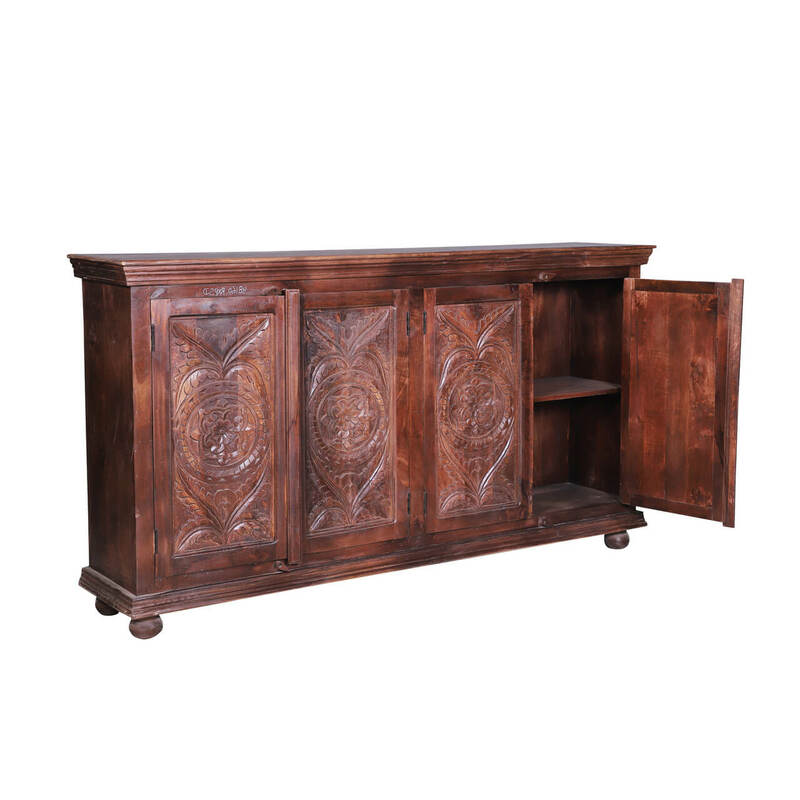 There are 2 double-leaf cabinets that make up the façade, and each one opens up to reveal 2 internal shelf compartments. 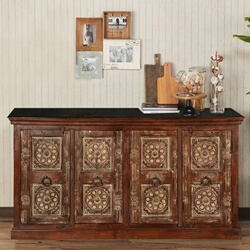 The doors have been engraved with medallion-style hand-carvings, and the bottom comprises of another extended top frame with 4 bun-shaped feet at the base. 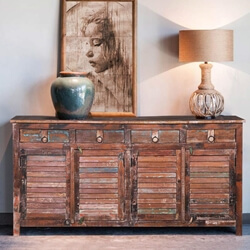 This reclaimed wood sideboard is brimming with personality and can make any interior design feel like a million bucks of worth. 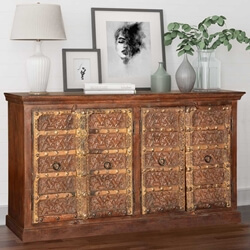 It can be featured in a variety of ambiances, including vintage, midcentury modern, traditional, eclectic, contemporary, and more.